Description: Azaleas are flowering shrubs making up part of the genus Rhododendron. Evergreen early flowering azalea bearing double red flowers. Prefers moist well drained soil in semi-shade. Water well during Summer. Mass plant to create a stunning display. Lovely in decorative tubs and containers. 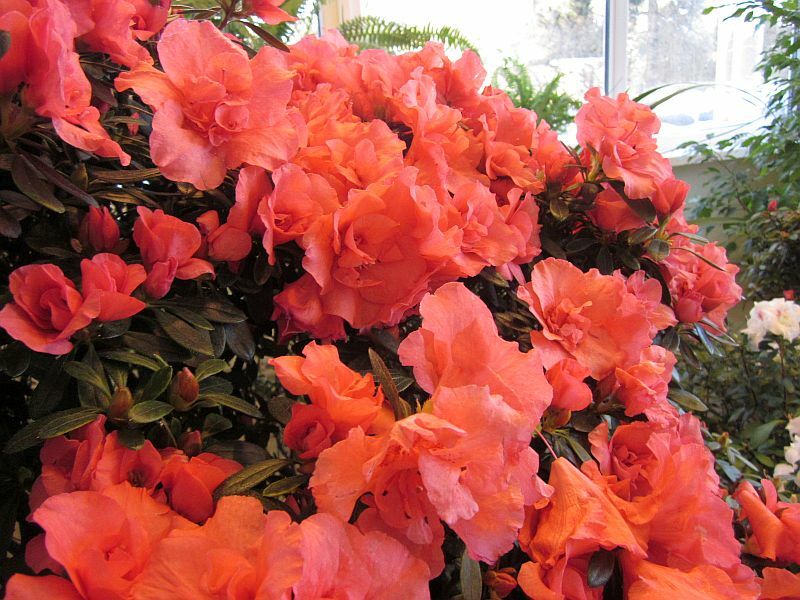 Azalea indica require some special conditions and is unlikely to thrive without them. Uses: Azaleas have a particularly good effect on ammonia found in floor cleaning products.